Experiencing blockages or have pipes that are continually blocking up? Blocked drains can cause major problems for plumbing and can often result in expensive water leaks. They need to be assessed and repaired as quickly as possible as they are a critical part of the plumbing make up in your home and workplace. We have a drain camera and water jetter that will clear any blockages efficiently and effectively, with little disruption to your home or business. Burst pipes can also be an expensive problem and can cause a lot of damage. We have the equipment to repair burst pipes, and our friendly, fast and reliable service means that we will get to repairing your burst pipes quickly, leaving you with as little distress as possible. We provide a range of services for repairs and replacements to burst or broken pipes, as well as blockages to drain lines. Give us a call if you are experiencing any of the following. Drain blockages can be frustrating, but they can also be limited if you understand and avoid the common causes. There are also options for repairs and replacements to prevent blockages from occurring again. What are the most common causes of a blocked drain? The flushing down of household items are a common cause of blocked drains. Tree roots in drains can also cause blockages when things like debris or toilet paper get caught and build up. What equipment do you use for drain blockages? We have a drain camera which helps us identify where the blockage is and what is causing it. We also have a powerful water jetter that is efficient and effective at removing blockages. 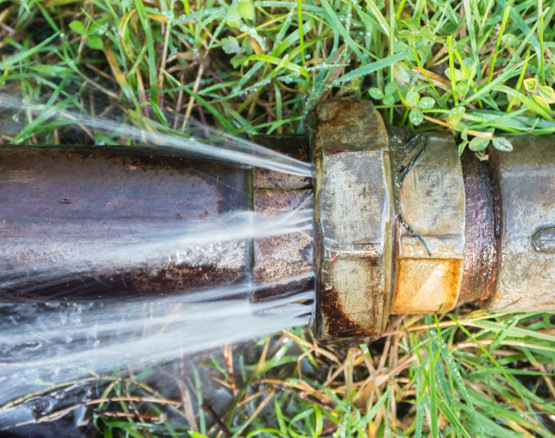 How can I prevent blockages in pipes around my home? You can prevent blockages by having clay pipes replaced with PVC pipes, which are more impervious to tree root break through. Removal of offending trees and their roots is also an option. Any abnormal smells or gurgling sounds are usually the first signs of a blockage. It is best to give us a call as early as possible so the blockage is not as severe and doesn’t cause damage. "Life saver. Great help and highly recommended. Great work and very friendly."